Things are finally getting back into gear for us with the new year. We've launched two new episodes of our podcast, we've got a ton of new reviews that we will be publishing very, very soon. And there are a bunch of new and exciting projects that we are working away at in the background with much fervor and gusto! While all of that is going on, the Kickstarter Community is alive and doing well, and, as usua,l we're here to point you towars a few that we think are interesting enough to write about! So here we go with this week's Kickstarter Weekly! Tasty Minstreal Games has been incredibly busy over the past few months bringing a lot of highly anticipated games to Kickstarter and proceeding to completely smash their funding goals and about 4,729 stretch goals along the way—okay, that might be an exaggeration... Anyway, Scoville is a farming game designed by blogger extraordinaire Ed Marriott of Boards and Barley. Players will be bringing the heat to a small town by planting and harvesting exotic peppers. We know Ed's been hard at work on this project for some time, and we wish him —and Michael Mindes of TMG— all the best with this campaign! You have until Feb. 22 to help fund Scoville, and a $40 pledge will score you your very own copy. Check out all the details right here! Master of the Gridiron is a two-player football simulation card game. It features real players from real teams, is easy and quick to play and learn. Tabletop games and sports are an odd marriage. But both of us are big into gaming, as well as football, so we're intrigued. Although I (Jeremiah) don't often enjoy these worlds colliding. Still, we will be publishing our preview of this one very soon, so keep an eye out for that. 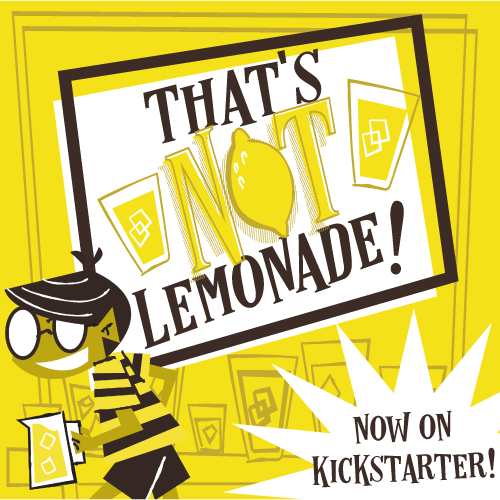 In the meantime the Kickstarter Campaign is in full swing and will end on Feb. 19. Early birds can score two decks —one team per deck— for $25, or for $39 you can get four decks. Check out all the details right here! Okay, maybe there's something to this "farm" theme we've seen in two campaigns now... Will this be the year of the farming game? I suppose time will tell. Anyway, Livestock Uprising is a tactical barnyard battle for two to four players, that features a randomized playing field, a bunch of cards, and bits. This one looks pretty polished and ready to go, and has already funded, so it will be coming to market. A pledge of $35 will score you a copy of the game, and this campaign ends on Feb. 16. You can check out all the details right here! So, this really isn't a "game," but I (Jeremiah) couldn't help but get a little mesmerized by all the sweet designs of these dice! There are some pretty awesome looking dice here. The price points seem about average for custom printed dice--what you would see at a Con. This is a super easy campaign to jump in on. $4 gets you any single d6 from the series and then it jumps to $22 for any ten. The Campaign ends on Feb. 21 and you can see all the awesome designs right here! What's in a name? In this case everything you need to know. Coconuts is: a crazy monkey dexterity game for 2-4 players! Upon watching the video in its 17 seconds of splendor we have come to this conclusion: CCMDGF2-4P is pretty much Beer Pong with mechanical monkeys, sans beer. Who doesn't want to make a monkey fling coconuts into containers to score points though? This should be a favorite for kids and families and the manga crowd. We imagine monkeys flinging coconuts is a better selling point than them flinging... well, you know. $30 gets you a copy shipped to your door; the campaign ends on Jan. 28 and you can check it out right here! Thanks for checking out Kickstarter Weekly. Are you backing any of these? Are you backing something we haven't mentioned? Sound off below in the comments! And don't forget, if you subscribe to the blog over on the right, Like us on Facebook, Follow us on Twitter, and Instagram and Subscribe to our YouTube Channel you will be entered -a total of 5 times- into our contest to win a free copy of Relic Expedition! So what are you waiting for--start clicking those links!